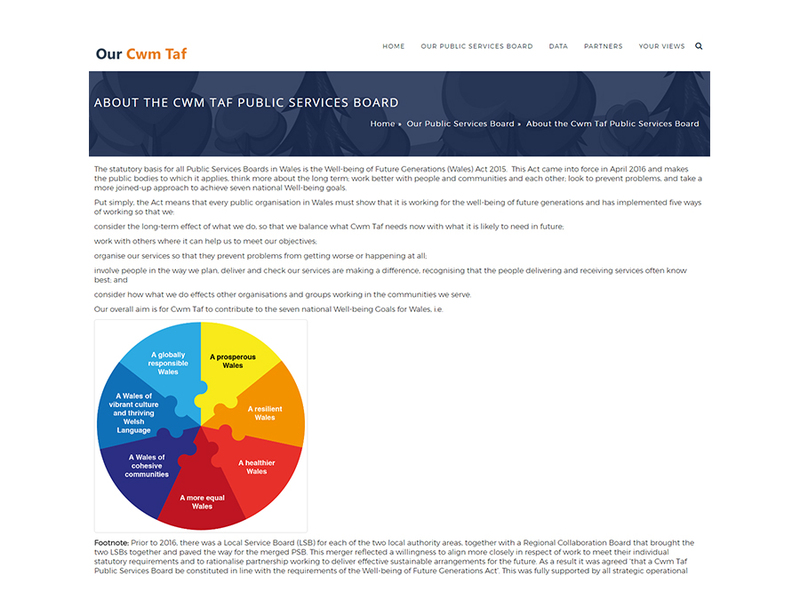 Our Cwm Taf was developed and is supported and hosted by the Local Government Data Unit ~ Wales in collaboration with the Cwm Taf Public Services Board. It offers partners and citizens opportunities to engage with and further understand the key role of the board as it develops. 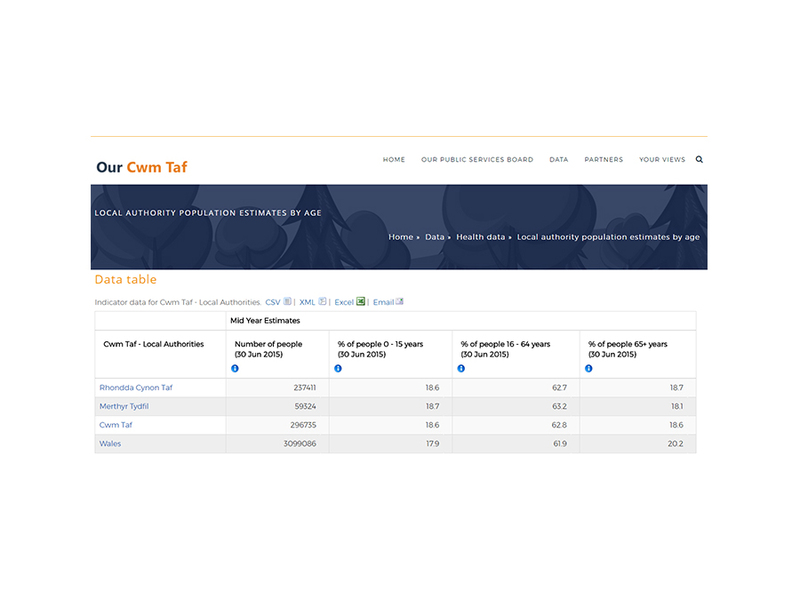 Our Cwm Taf also contains a wealth of information about the region. 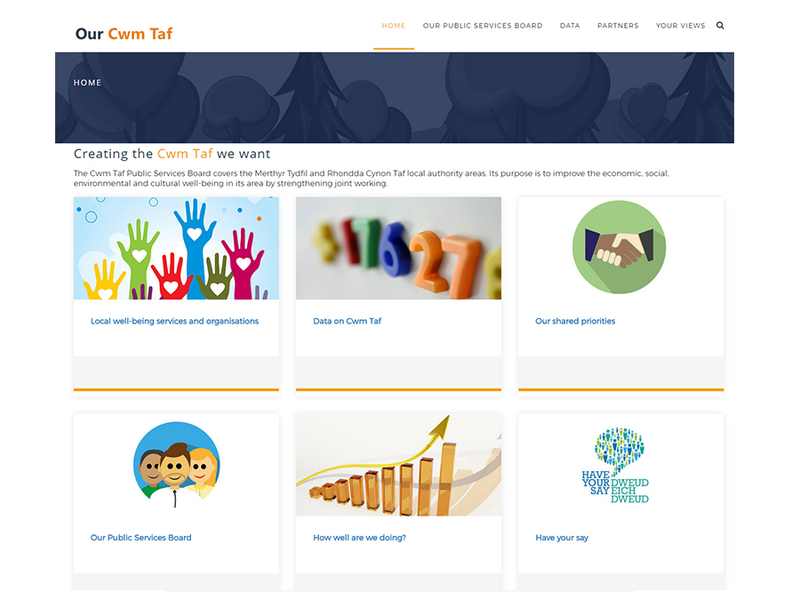 The website is also a crucial resource for practitioners to assist them in the ongoing monitoring of a wide range of datasets in order to identify what the priorities for focus should be.